There comes a time in every major tech corporation's life when it has to let its previously-acquired but only tangentially-related asset go as part of a complex transaction with a multinational electronics firm. For Google, that time came today, when it announced that it would sell Motorola Mobility to Lenovo for $2.91 billion. I, too, feel your pain. The idea of a Google-run phone manufacturer was, to me, a kind of techno-nirvana. I am a shameless Google fanboy when it comes to some things, and hoped that one day a Google-backed Motorola device could provide me the best of both worlds - fast updates and more attention to the features Google doesn't quite get right in Nexus phones. The Moto X was almost there. And now, we've all had the proverbial rug pulled out from under us, and uncertainty lies ahead. It doesn't feel good. It feels a little like betrayal - especially when Motorola has been playing the "a Google Company" branding card absolutely shamelessly since the company had its big re-launch last year. The question on many of our minds, no doubt, is "what now?" What happens to my ultra-fast software updates? Will I get them at all? Will Motorola keep good on its promise of a clean, untainted Android experience? Handset customization - what's going to happen there? Is Motorola even going to keep its Texas assembly facility open? And the cold, hard truth is, we don't know. CEO Dennis Woodside provided very little insight on the announcement in his post at the official Motorola blog. He also didn't mention downsizing, headquarters location, the company's continuing strategy, or whether Motorola would even continue to exist as a separate firm in the Lenovo family (we know the brand will stick around, but that's it). He probably doesn't even know at this point. And uncertainty isn't good, especially when that uncertainty is centered around a company that has consistently lost money every quarter since being acquired by its current owner. Last quarter, Google reported an operating loss of $248 million on Motorola. That's a far cry even from HTC, now widely considered in trouble, which reported an operating loss a fifth of that a few weeks ago. If you're buying a company losing money, generally you don't keep them on that money-losing path. Motorola has already cut over 6000 employees since it was acquired by Google, ceased many of its international operations, revamped its brand, unveiled an industry-leading phone customization platform, and pushed hard to give customers a great software and support experience. Tomorrow, we'll hopefully see if those bets have paid off, when Google announces its Q42013 earnings. If Motorola's back in the black, perhaps things aren't so dire after all, and Lenovo will just continue on with this winning formula. If they're deeper in the red than ever before (or even close to it), then it's time to start getting wary of the future if you're Motorola, because I doubt Lenovo's willing to stomach a billion-dollar-a-year hole in its checkbook. A hole it just paid about $3 billion for to start with. However, as easy as it is to be pessimistic about this whole situation, I also can't think Lenovo would buy Motorola unless it saw a real future in the brand. Lenovo's smartphones are widely-regarded as, well, crappy. There have been rumors swirling about an HTC acquisition by Lenovo for a while now, but maybe Google's offer on Motorola was just too good to pass up. Lenovo's made a major money-maker of IBM's previously-ailing ThinkPad brand, and is often considered to be on the leading edge of form-factor innovation in the tablet / laptop space. While popular in China (#2 overall in 2012), though, Lenovo's smartphone arm has failed to get much attention abroad. Lenovo has to know smartphones are an important form factor for growth of the company, and so I'd be willing to bet they're going to take some risks to try and make Motorola an international success. Lenovo isn't the sort of company that buys a brand to destroy it - they've shown that much with the ThinkPad. But I don't think that's why people are upset. The prospect of Lenovo "ruining" Motorola is secondary, and it's still pretty far off. I also think that is very, very far from a foregone conclusion. I'd even go so far as to bet against the naysayers. No, the real angst here is at Google, for selling off a brand that Android loyalists had come to love and respect since it was acquired back in 2011. Motorola had become a company that embodied the Google "spirit" - open, innovative, risk-taking. You know, the sort of corporation you'd want to have a beer with. If corporations were people. And had mouths. And drank beer. Anyway... Motorola was cool, man. And then, Google went and sold out the new OEM of choice for a growing number of Android enthusiasts. Treachery most foul! The consensus seems to be that without Google, Motorola cannot still embody those values which many of us came to respect them for above other manufacturers. And as I said, we can't know what's going to happen there. But why did Google toss off Motorola at all? The answer, I think, is competition. Google bought Motorola while the company was in an obvious tailspin. CEO Sanjay Jha - the man behind disastrous products like the DROID BIONIC and the original ATRIX - had led the company into a seemingly inescapable pit of bloat. Motorola's reliance on TI chipsets had put it at a disadvantage in terms of raw performance, and it kowtowed to carriers' whims and exclusivity demands unflinchingly. 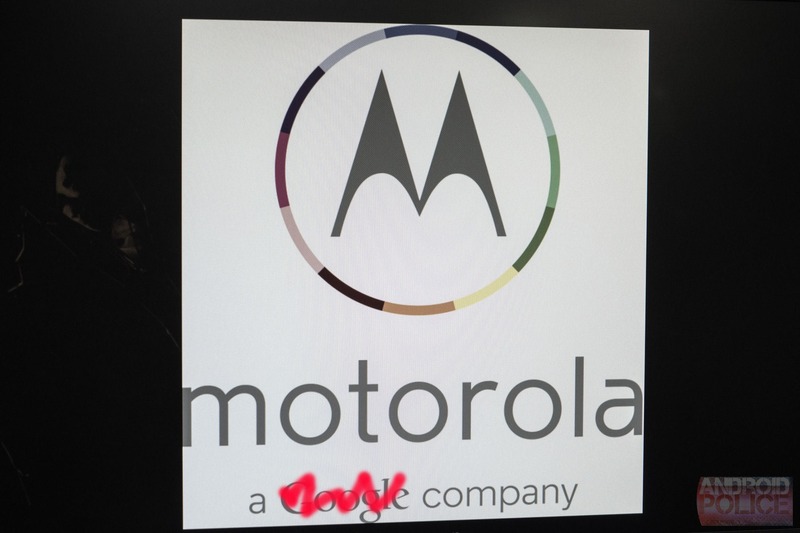 To be blunt, Motorola was going nowhere fast. Larry Page and Andy Rubin allegedly led the charge in the acquisition, though Rubin supposedly wanted no part of the actual handset business. Page decided to go for the whole package, and in 5 short days, a deal was hashed out, and Motorola officially was on its way to being a Google property. Google whipped it into shape, even as rumors that the acquisition was largely about patents swirled. Thousands of jobs were cut, Motorola pulled out of most non-US markets, and doubtless many product launches were shelved. And now, Motorola is at a point where it at least has the prospect, the hope of growth. This is not the same company Google picked up on a whim over 2 years ago - it is revitalized. And now that it's at least pointed in a direction that gives the company some hope, Google decided it was time to say goodbye. It probably never sat quite right with Google's other Android OEM partners, either, knowing that the company supplying them their open source OS and various services was now directly competing with them. It didn't quite fit with the spirit of Android, of open competition. That's not to say I wouldn't have minded seeing the cooperation continue. At least the crazier parts of Motorola will be sticking around with Google for the time being, it seems. There will be challenges for Motorola if this deal goes through. Big ones. Motorola has enjoyed the tech and mainstream media limelight for the last year almost solely because of its association with Google. There is a narrative at work in the larger tech media, and that narrative essentially goes: "Google / Samsung / Apple = important." Motorola had the luck to fall directly under the Google umbrella during its big re-launch. Now, Motorola will fall under the "everything else" pile. 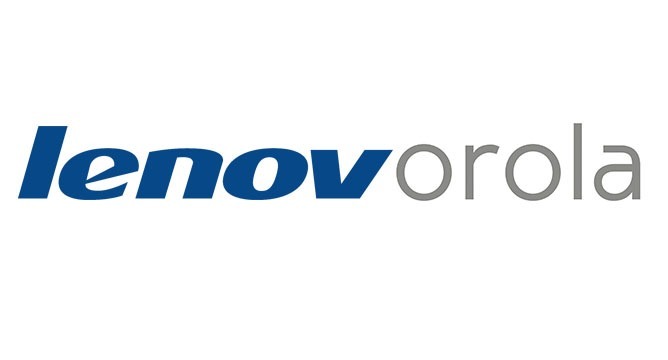 It will have to claw its way back to the headlines, because there really is nothing "hip" about being a Lenovo company. It's a sad but very real truth - Motorola will not get nearly the attention it did as a Google property, and the one reason for that will be that it is no longer a Google property. With the big G gone, the fact is Motorola's just not going to get as much love from the media. So, here's to hoping they don't screw it up. At this point, that's all we can really do anyways.